I use a lot of lemons and if I am not using the juice I freeze it. 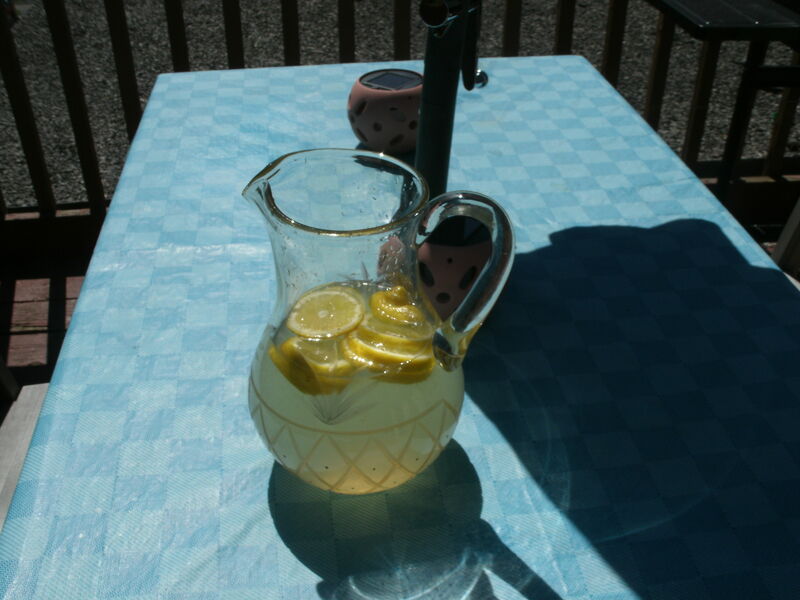 During this hot weather I have been making lemonade for visitors, a great way to use up the lemon juice and who doesn’t love lemonade on a hot day? Sometimes I add 1/4 cup of grated ginger for a ginger lemonade or a cup of pureed berries for raspberry or strawberry lemonade. For a more grown-up version I add a 1/4 cup of limoncello! 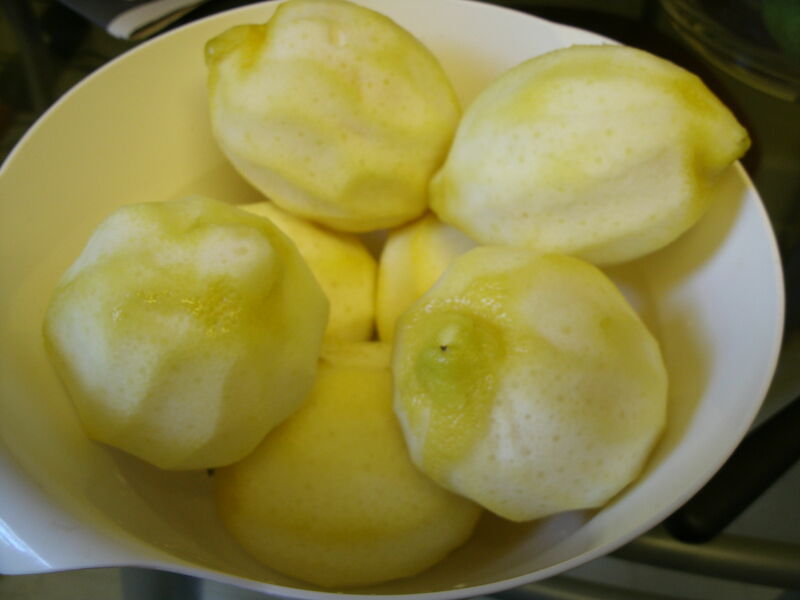 This people pleaser is easy…..
2 Use a juicer to extract the juice from 4 to 6 lemons (enough for one cup of juice). 3 Add the juice and the sugar-water to a pretty pitcher. Add 3 to 4 cups of cold water (I use 4, but whatever works for you). Refrigerate for an hour before serving. 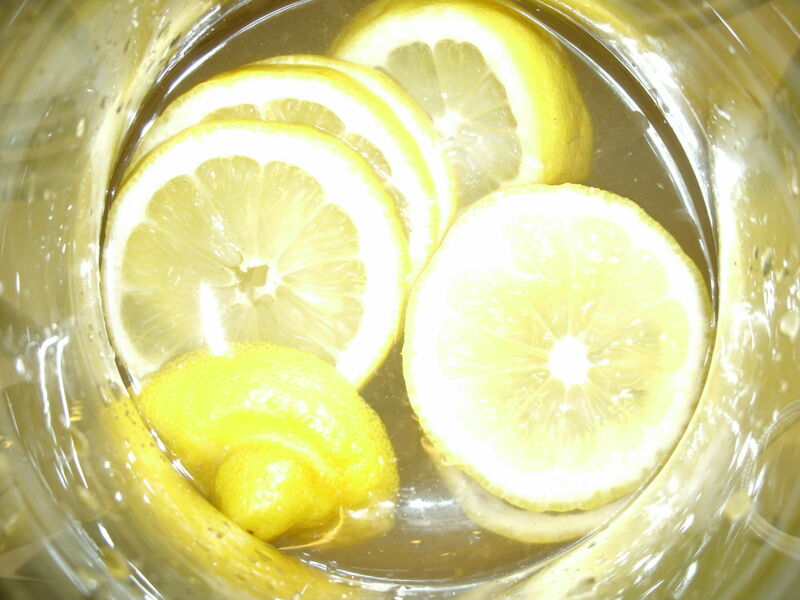 Add ice and sliced lemons. After a conversation with someone last week who said her memories of Italy included limoncello and lots of it, I decided to make some. I had a recipe that was long and drawn out (45 days), I decided summer would almost be over by then so I researched alternatives and found another blogger who had a seven-day recipe and I was in! Peel the lemons and be careful not to include the pith ), as this will make it bitter. I used a vegetable peeler to get decent sized pieces. 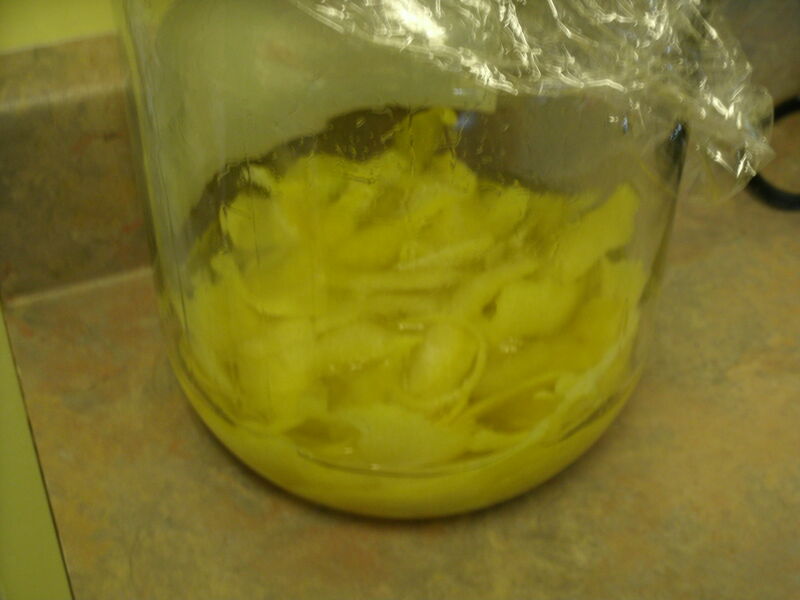 Put the peels in the bottom of a large jar and poor vodka overtop. Seal tightly and store in a cool dry place for 7 days up to two weeks (swirl daily). 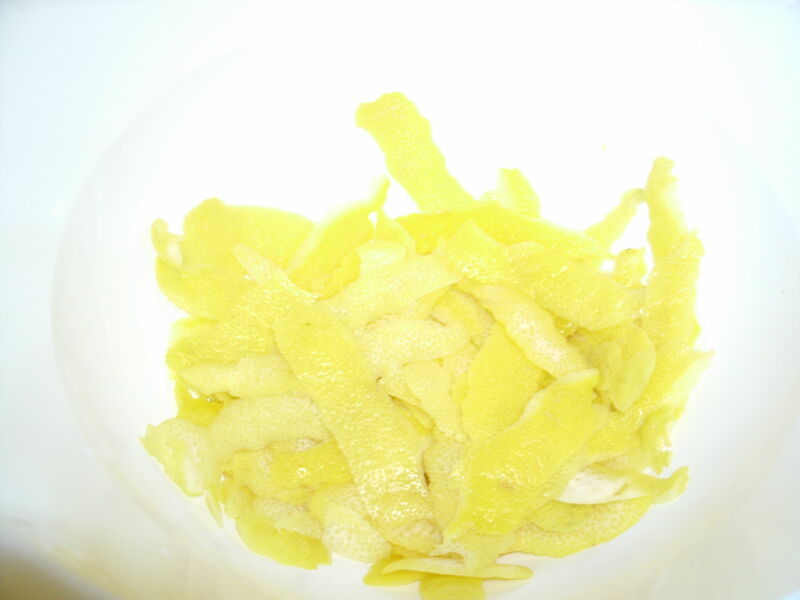 I saved the juice of the leftover lemons and froze it for future use. This is a work in progress, I will be blogging on the results next week. Can’t wait to open a bottle of this sunshine! Working on some changes with the blog. The name change to the lemon kitchen is reflective of one of my favourite things, lemon and is also the colour of the kitchen in my home. With some assistance I will be working on the whole look of it and it will be a work in progress. I will also be focussing more on recipes (the good, the bad and the ugly), just the occasional restaurant visit and perhaps promoting a few products I love and trust.